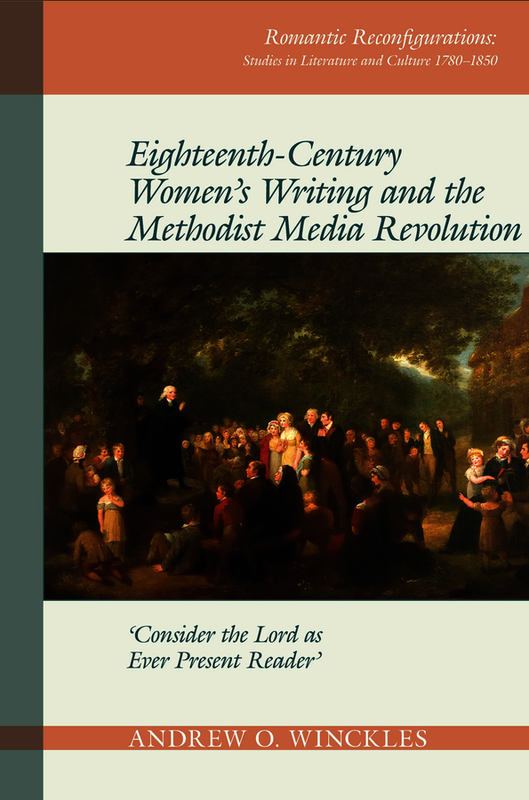 Eighteenth-Century Women’s Writing and the Methodist Media Revolution argues that Methodism in the eighteenth century was a media event that uniquely combined and utilized different types of media to reach a vast and diverse audience. Specifically, it traces particular cases of how evangelical and Methodist discourse practices interacted with major cultural and literary events during the long eighteenth century, from the rise of the novel through the Revolution controversy of the 1790s to the shifting ground for women writers leading up to the Reform era in the 1830s. The book maps the religious discourse patterns of Methodism onto works by authors like Samuel Richardson, Mary Wollstonecraft, Hannah More, Elizabeth Hamilton, Mary Tighe, and Felicia Hemans. This provides not only a better sense of the religious nuances of these authors’ better-known works, but also a fuller consideration of the wide variety of genres in which women were writing during the period, many of which continue to be read as ‘non-literary’. The scope of the book leads the reader from the establishment of evangelical forms of discourse in the 1730s to the natural ends of these discourse structures during the era of reform, all the while pointing to ways in which women – Methodist and otherwise – modified these discourse patterns as acts of resistance or subversion. Andrew O. Winckles is an Assistant Professor at Adrian College.